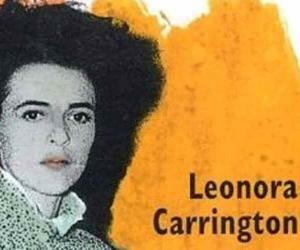 Leonora Carrington was an English-born Mexican artist and painter. Yhis biography profiles her childhood, life, painting career, works, achievements and timeline. 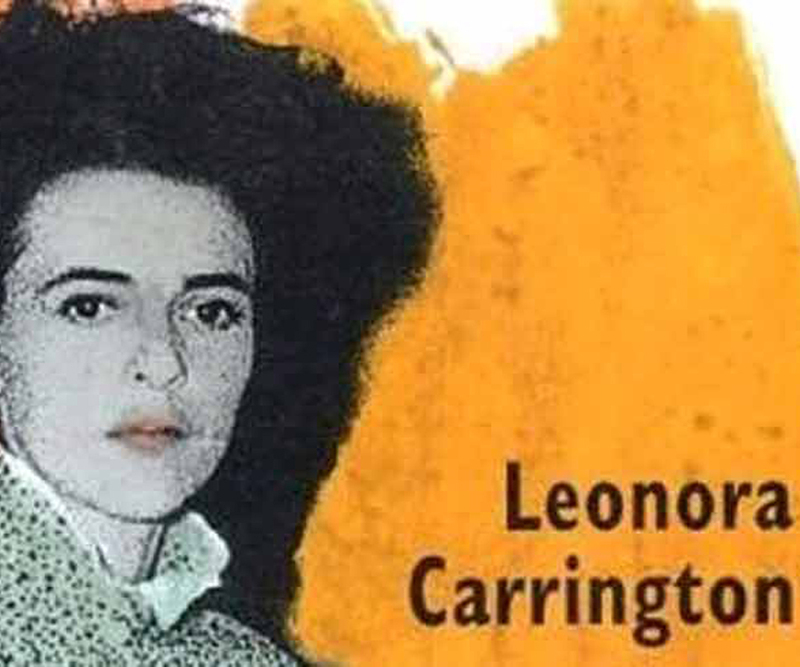 Leonora Carrington was an English-born Mexican artist and painter. She was also a noted novelist. She emerged as a prominent figure during the Surrealist movement of the 1930s. She is known for her mysterious, autobiographical and dreamlike paintings that include themes of sorcery, alchemy, the occult and metamorphosis which make her art strikingly captivating. Some of her notable paintings are ‘Self-Portrait (Inn of the Dawn Horse)’ (1936–1937), ‘The Meal of Lord Candlestick’ (1938), ‘The Temptation of St. Anthony’ (1947) and ‘Juggler’ (1954). Not only the paintings but her knack in surrealism was also evident from her prolific writings that include ‘The House of Fear’, ‘The Oval Lady and ‘The Debutante’. Some of her other popular books are ‘Down Below’, ‘The Seventh Horse and Other Tales’, ‘The Stone Door’ and ‘The Hearing Trumpet’. 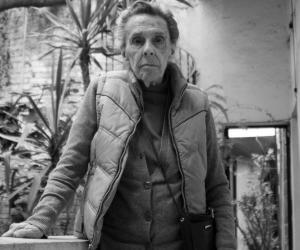 She remained one of the founder-members of the Mexican ‘Women’s Liberation Movement’. Her painting ‘Juggler’ was auctioned for US$713,000 in 2005, which was a record for a living surrealist painter. She was born on April 6, 1917, in Clayton Green in Lancashire, England in a Roman Catholic family of Harold Carrington and Maurie Moorhead Carrington as their only daughter among four children. Her father was an affluent textile magnet. She was brought up in the family estate, Crookhey Hall, surrounded by animals especially horses. She would listen to Celtic mythology and folktales from her Irish mother and Irish nanny Mary Cavanaugh. Many of these would later find place in her art work. She was a rebellious child and educated by a string of tutors, nuns and governesses. She faced expulsion from two schools following which her family enrolled her at ‘Mrs Penrose's Academy of Art’ in Florence. Her study of paintings started there and during this time she had the opportunity to visit few of the best art museums of the world. She got introduced to Surrealist paintings in 1927 in a gallery in Left Bank in Paris and also met several Surrealists including Pablo Picasso, André Breton, Salvador Dalí, and Yves Tanguy. Though her mother inspired her to pursue a career in art, her father was against it and later reluctantly allowed her to shift to London where she joined ‘Chelsea School of Art’ in 1935. After a year she took transfer to ‘Ozenfant Academy’ with the aid of her father’s friend Serge Chermayeff, and attended it till 1938. ‘Surrealism’ a book by Herbert acquainted her with the subject further. In 1936 she visited the ‘International Surrealist Exhibition’ held at London and was fascinated by the work of Max Ernst, a German surrealist painter, graphic artist, poet and sculptor. One of her notable early Surrealist works ‘Self-Portrait: The Inn of the Dawn Horse’ (1936-37), features figures of hyenas and horses that dominated many of her future works. She met Max Ernst first in 1937, at 20 years of age, and soon got romantically involved with the 46 year old man. 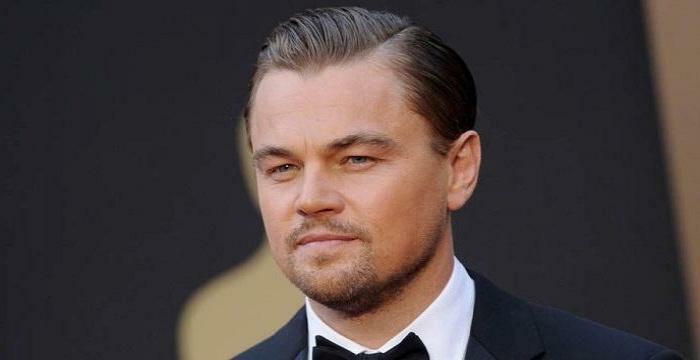 As her father did not accept the relationship, he disowned her. Ernst and Carrington moved to Paris and after separating from his wife Ernst settled in Saint Martin d’Ardèche with Carrington in 1938. She took part in the 1938 ‘Exposition Internationale du Surréalisme’ held in Paris and also at a Surrealism exhibition in Amsterdam. Ernst and Carrington supported and respected each other’s work. Her artworks during this time include ‘The Horses of Lord Candlestick’ (1938), ‘The Meal of Lord Candlestick’ (1938), ‘The Inn of the Dawn Horse’ (Self-Portrait) in 1939 and ‘Portrait of Max Ernst (1939). Influence of surrealism was also evident from her prolific writings during this period that include ‘The House of Fear’ (1938), ‘The Oval Lady’ (1938) and ‘The Debutante’ first published in 1940. 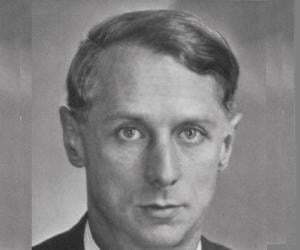 During the outset of the Second World War, the French authorities arrested Ernst, but released him after a few weeks following intervention by several friends including Paul Eluard and Varian Fry. When Nazis invaded France, the ‘Gestapo’ arrested Ernst again but he managed to escape to America with the help of Peggy Guggenheim, leaving Carrington behind. Carrington went into a state of melancholy following Ernst’s arrest and she escaped to Spain where she had a mental breakdown at the British Embassy in Madrid. She had to be treated in a mental asylum in Santander by her parents and after she was released and taken to Lisbon she again escaped to seek retreat in the Mexican Embassy. To secure passage to New York she got into a marriage of convenience with Renato Leduc, a Mexican diplomat in 1941. She continued with her artistic works in New York and after about a year returned to Mexico. Following her divorce with Leduc she became a citizen of Mexico and settled there for good. She penned down her hysterical experience in the asylum in a novel ‘Down Below’ (1944). Her art works ‘Portrait of Dr. Morales’ (1940) and ‘Map of Down Below’ (1943) also narrate this ordeal. Many of her paintings were bought by Edward James, a Surrealist poet and patron, some of which are still present at his former home in West Dean, West Sussex, which now stands as the ‘West Dean College’. In 1947 James organised an exhibition of her works in New York’s ‘Pierre Matisse Gallery’. The international Surrealism exhibition where she participated as the only woman professional artist turned up to be the most significant one for Carrington and gave her instant international fame. 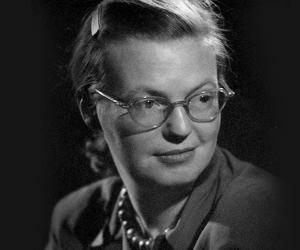 Some of her works during the 1940s and 1950s include ‘The House Opposite’ (1945), ‘The Giantess’ (c. 1947), ‘The Temptation of St. Anthony’ (1947) and ‘Three Women Around the Table’ (1951). Receiving a government commission in 1963 she created ‘El Mundo Mágico de los Mayas’ a huge mural for México’s ‘National Museum of Anthropology’ which is presently placed in the ‘Museo Nacional de Antropología’ in Mexico. She also designed the poster of the Mexican Women's Liberation movement - ‘Mujeres conscienscia’. ‘The Hearing Trumpet’ her most remarkable novel was published in 1974. The British fine arts auction house, ‘Christie's’ auctioned Carrington’s painting ‘Juggler’ (‘El Juglar’) for US$713,000 in 2005, setting history as the highest paid painting of any living surrealist painter. She created huge bronze sculptures during the 90s which were publicly exhibited on the streets of Mexico City for several months in 2008. Her works have been exhibited in different international Art galleries including those in New York, Paris, Mexico City, California, Sao Paulo, Dublin and San Francisco. She got married for a second time to photographer Emerico Weisz in 1946. 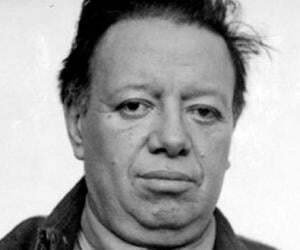 The couple had two sons: Gabrial, a poet and Pablo, a Surrealist artist and a doctor. 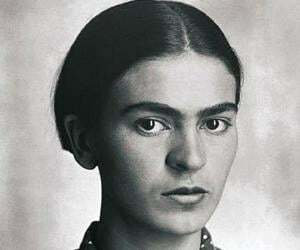 She died in a hospital in Mexico City on May 25, 2011. In 1986 she received a ‘Lifetime Achievement Award’ from ‘Women’s Caucus for Art’ (WCA) in New York. She remained the subject of a special retrospective, ‘The Celtic Surrealist’ held at Dublin’s ‘Irish Museum of Modern Art’ in 2013.